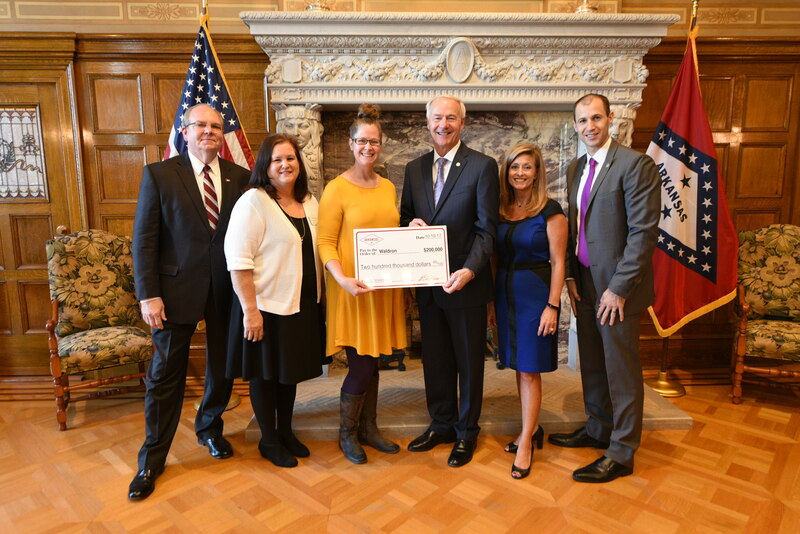 LITTLE ROCK, Arkansas (October 10, 2017) – Governor Asa Hutchinson presented grants totaling $1,824,282 to 11 Arkansas cities and counties at a ceremony held at the State Capitol on October 10, 2017. The funds originate from the U.S. Department of Housing and Urban Development through the Community Development Block Grant (CDBG) program. The City of Waldron was awarded a $200,000 grant to install sidewalks along 2nd Street. The grant will be administered by the Arkansas Economic Development Commission’s Grants Division. To be eligible for CDBG funds, communities must have a population of less than 50,000 and at least 51% of the persons benefitting from the project must be of low- to moderate-income. For more information about the Arkansas Rural Services Block Grant Program or other funding opportunities, please contact the Division of Rural Services at 1-888-RURALAR.